The Union minister of state for home said the government had deployed modern technologies and equipment to keep a check on intrusion in Kashmir and were using the same on other fronts. 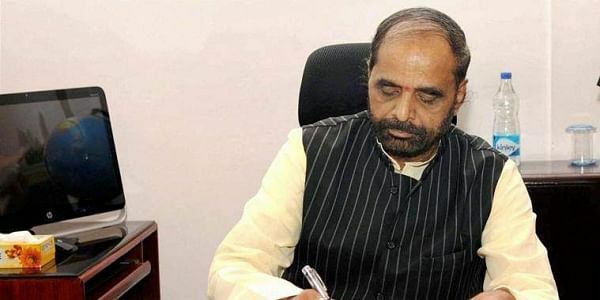 NEW DELHI: Bangladesh, the "so-called friend" of India, also poses a security threat to the country besides China and Pakistan, Union minister Hansraj Ahir said today. Addressing a conference on homeland security, organised by business chamber ASSOCHAM, he said, "Bangladesh was only a so-called friend because evidently it had caused India the most harm through illegal intrusion." "It is not only China or Pakistan but Bangladesh poses an equally bigger challenge to our national security, I know it because I get to see that closely," Ahir was quoted as saying in a press release issued by the ASSOCHAM. The Union minister of state for home said the government had deployed modern technologies and equipment to keep a check on intrusion in Kashmir and were using the same on other fronts--be it in dealing with Naxalites, growing issues of youth radicalisation in Kerala, security of the railways, airports and other such places. Referring to the recent incursion bids made by China, he said, "China today is not a very close friend of ours, it has always raised problems for the country. And be it China, Myanmar, Bangladesh or terrorists coming into India through Pakistan, we...will promote the usage of various modern technologies to curb intrusion." Ahir also welcomed the efforts being made to build a consensus to resolve the Ayodhya dispute, the release said. He said the government would look into the demands and suggestions of the industry but it must come up with indigenously developed smart technologies and the government would help in research and development in this regard. The minister said the government would work in tandem with the private industry to deal with all homeland securityrelated threats and challenges faced by the country, the ASSOCHAM release said.